It goes without saying that if you drive a Jaguar – one of the most sophisticated, stylish and advanced engineered cars on the road today, you drive a car that turns heads. With the complexities and intricacies of this rare breed of cars, you can’t take these luxury vehicles or sports cars to just any Jaguar auto repair shop. At Fairfax Auto Repair, our Jaguar technicians are trained specifically to work on this fine automobile. We have the equipment and technology to diagnose, test, repair, and maintain these vehicles at our Jaguar repair shop. And because we know Jaguar drivers demand the best, we only use original manufacturer parts on repairs for these luxury vehicles. Our Jaguar technicians can diagnose and repair all of your vehicle’s systems from the engine and radiator to the antilock braking system to the electrical system and more. We can even take a look at your super charger systems and well as your anti-theft systems. We know many people may feel inclined to take their Jaguar to the dealership for service. But at Fairfax Auto Repair, we can do all the work they can, at a better price. 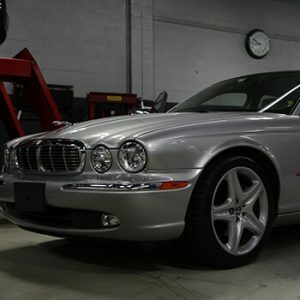 Your car is a major investment and our team at our Fairfax Jaguar service center treat it as such.